Good grooming habits are important indicators of better health and boost self-esteem. Seniors who are well-groomed point to the quality of care they are receiving, either from their family caregivers or from providers of in home care services in Oakland Counties, Michigan. Because of this, here are grooming habits that every senior should develop and practice every day. While seniors don’t need to take a bath every day, as this can contribute to the skin being dry, they still need to take a bath properly. Ensure that their hair is shampooed well, the body folds are washed properly, and the whole body is pat-dried. Bathing generates the feeling of freshness while protecting the senior from common infections. You can never underestimate the result of clean and trimmed nails. When your nails are in good shape, you can prevent yourself from developing an infection on the nail bed, as well as other foot problems such as athlete’s foot. Aside from brushing your teeth at least twice a day, ensure that you floss afterward. Flossing removes food residue in between teeth. Additionally, visiting your dentist at least twice a year, or as necessary, helps prevent oral complications from developing or worsening. Infections can be easily spread by the hands; hence, washing them often can stop this spread. There are also instances that make hand washing imperative, such as after sneezing, after using the toilet, before preparing food, and others. Seniors can benefit from a regular amount of sleep of about 6-9 hours each night. Quality rest enables the senior to develop alertness and focus while making them feel fresh and ready for the day. In the hours that you’ve been sleeping well, your body also flushes out unhealthy toxins, which can trigger dementia illnesses. What happens when a senior person is not observing proper grooming? When a senior has obvious manifestations of poor hygiene, such as having an unpleasant odor, bad breath, and unkempt hair, it may be a signal of deeper health conditions, such as mental health. The senior person may be going through depression and they don’t have the strength enough to care for themselves. 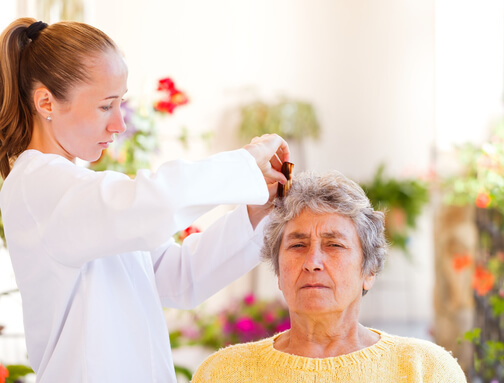 Poor grooming is an important indication for family caregivers or providers of in home care assistance in Southeast Michigan, to know that the person is not in a good condition. The root cause of poor grooming has to be identified and addressed so that the overall wellbeing of the senior person can be met. In providing premier personal care services in Southeast Michigan, we put emphasis on quality service in terms of caring for the needs of our patients in their homes or locations of care. For this reason, if you have senior loved ones who need extra supervision in administering their basic grooming as well as other activities of daily living, our team can always assist them. You can always inquire about our services at Heaven Sent Home Support Services. This entry was posted in Grooming Habits and tagged Healthy Lifestyle, In-Home Care, Personal Care Services. Bookmark the permalink.